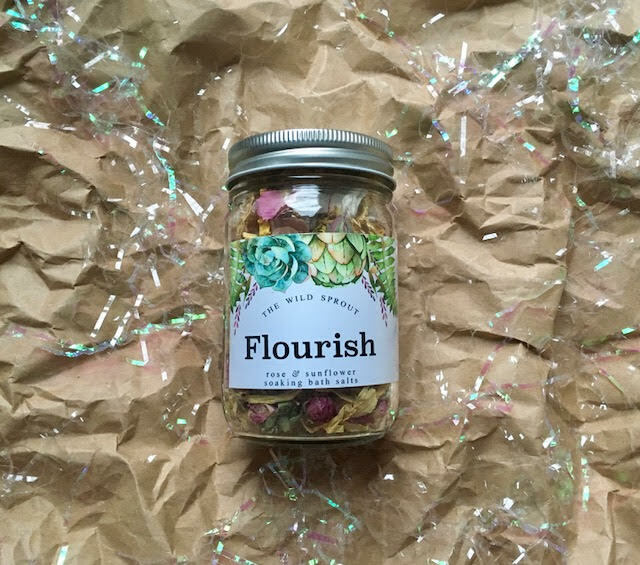 Embrace an artisanal-crafted soothing bath soak blend that has been made with intention and un-compromised quality botanical ingredients. Let the aroma of rose and sunflower invigorate your spirits. Your product(s) will come in an eco-friendly, recyclable, glass jar, with a reusable 100% cotton muslin pouch. Directions: Draw a warm bath. Place desired amount of soaking bath salts in the muslin bag and tie closed. Let the bag steep as the tub fills. 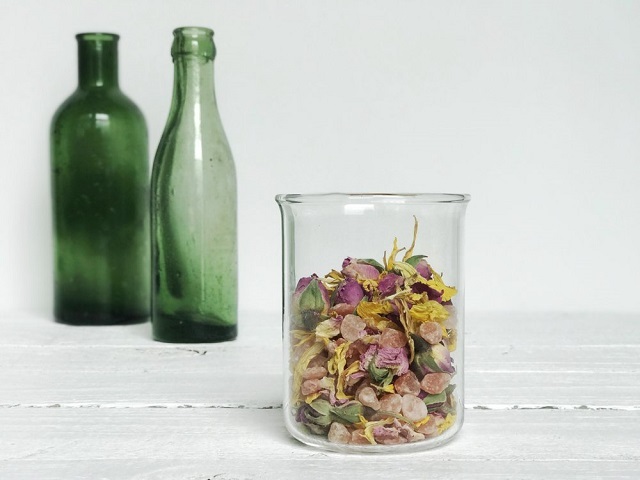 Squeeze the fragrant herbal elixir out into your bath. Inhale the intoxicating aromas. For best results, soak in bath for at least 20 minutes. Rinse the muslin bag for repeated use. Cruelty free, organic, vegan.